James D. Tabor is former Chair (2004-2014) and Professor of ancient Judaism and early Christianity in the Department of Religious Studies at the University of North Carolina at Charlotte, where he has taught since 1989. Previously he held positions at the University of Notre Dame and the College of William and Mary. He received his Ph.D. from the University of Chicago in 1981 in Ancient Mediterranean Religions. Tabor has combined his historical work on ancient texts with extensive field work in archaeology in Israel and Jordan, including work at Qumran, Sepphoris, Masada, and Wadi el-Yabis in Jordan. Over the past decade he has teamed up with Shimon Gibson to excavate the “John the Baptist” cave at Suba, the “Tomb of the Shroud” discovered in 2000, ongoing work (since 2007) at Mt Zion in Jerusalem, and robotic camera explorations with Rami Arav and Simcha Jacobovici of the “Jesus” tomb in East Talpiot. 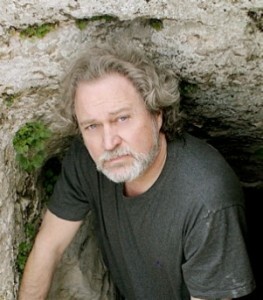 Tabor has published six books: Things Unutterable (1985); A Noble Death (with Arthur Droge, 1992); Why Waco: Cults and the Battle for Religious Freedom in America (with Eugene Gallagher, 1995); The Jesus Dynasty: A New Historical Investigation of Jesus, His Royal Family, and the Birth of Christianity (2006); The Jesus Discovery: The New Archaeological Find that Reveals the Birth of Christianity (with Simcha Jacobovici, 2012), and most recently Paul and Jesus: How the Apostle Transformed Christianity (2012). Contact Dr. Tabor at 704-687-5188 or jdtabor@uncc.edu.